Welcome to SitcomsOnline Digest! This week, we've got news about something special for the 600th episode of Fox's longest running animated comedy, the death of an iconic sitcom writer, and more. Let's get going! 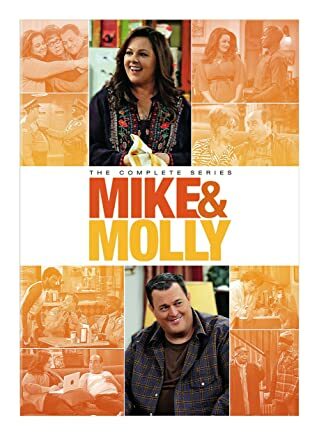 Mike & Molly - The Complete Series (DVD, $112.99): The recently ended CBS sitcom comes together in one big set with every episode in this release. Season 6 is also available individually. Who to Follow: Issa Rae (Twitter), "swriter/producer ▪ instagram: http://Instagram.com/issarae ▪ inquire: http://issarae.com/contact"
Claim to Fame: We continue (again) our theme of the stars of the new comedies with something a little different this week, with Issa Rae, who stars in the upcoming HBO comedy Insecure. The series debuts October 9 on the network, although if you subscribe to the network, you can watch the first episode on demand now. In the series, which is actually only the second comedy in the history of television that an African American woman both created and starred in (the first being Wanda Sykes' Wanda at Large), Rae stars as Molly, an attorney who is trying to just live a normal life in that doesn't necessarily see her as that way all the time. The series is, in part, based upon a YouTube series that Rae starred in called Awkward Black Girl.